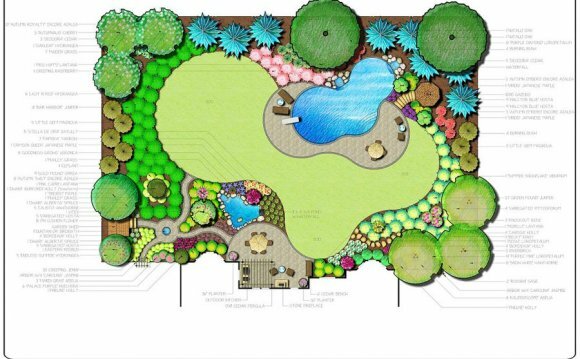 As landscape design software continues to become more sophisticated, presenting sophisticated landscape designs has become increasingly critical to the pitch process. The industry has moved from two-dimensional to 3D visualizations, and each new iteration presents a more realistic looking landscape. The visual nature of landscape software makes it particularly important to be able to help customers visualize the final project. Landscape contractors know this — but with several quality solutions on the market, it might seem overwhelming to sift through the options and choose the one that’s the best for your business. We field calls from prospective customers all the time about these landscape design software systems, particularly about the various payment options out there. In our 16 years in the software business, we’ve learned a lot about the professional landscape design software options and how they’re priced — and we’re happy to share what we’ve learned over time. When it comes to professional landscape design software, there are generally three types of payment options: upfront software purchase, upfront software purchase with subscription, and subscription only. Let’s take a look at the various pricing models — as well as the importance (and cost) of regular software updates, training and support. We’ll discuss pricing for several professional landscape design software offerings in this article; all pricing is current as of March 2015. Upfront software purchase is the classic software pricing model, and it was the standard before high-speed internet connections became widely available and cloud computing went mainstream. This pricing model almost always requires the biggest initial expenditure, after which a user takes the software back to the office and installs it on a single computer (one license purchase for one computer). Many people choose the upfront-purchase option simply because they like the idea of owning software. However, because software programs are often updated, owning the software can mean that purchasers are left behind — unless they pay for each new update. In addition to the cost of software purchased up front, customers then must pay for updates and support. The software can costs thousands of dollars and, after a limited introductory period, support and upgrades are provided for an additional fee. Like the upfront plan, this pricing option also requires an initial software purchase, which is then supplemented by a subscription for updates, training and support. A subscription ensures that the software won’t become obsolete. Here’s a look at professional landscape design software tools that implement an upfront purchase plus subscription model. DynaSCAPE Design: The software retails for $2, 850. For updates, support and other features, users pay a $50/month subscription fee ($600/year). AutoCAD: Along with the $4, 195 “perpetual license” they purchase, AutoCAD users can buy a maintenance subscription for an additional 5, which offers them software updates and support. Land F/X: Land F/X is an add-on to AutoCAD (sold separately), and costs , 295 to purchase upfront (AutoCAD license is required). A year of support and updates is included; for subsequent years, a 0 subscription fee applies, which pays for tech support, updates, training webinars and other features. Finally, the subscription approach is such that customers pay nothing for the software upfront. Instead, users purchase an ongoing subscription that guarantees the most up-to-date software tool along with the appropriate training and any necessary technical support. Structure Studios offers our professional 3D landscape design software, VizTerra, for an initial $95 account activation cost and a subscription of $95 a month or a yearly subscription of $995. Both include unlimited free updates, training and support. AutoCAD also offers its software in two different subscription formats: a $210 monthly pay-as-you-go subscription with “basic support” ($230 for “advanced support”) or a $1, 680 annual subscription with basic support ($1, 840 for advanced support). Automobile dealers are notorious for convincing even savvy buyers to add extras and upgrades, and suddenly the sticker price on the window — and the seemingly manageable monthly payment that went with it — creeps up beyond the reasonable range. It’s quite important to consider more than just the initial payment; the key to selecting the right product is in understanding the total cost to use the software. The cost of design software can feel similar. The upfront cost might seem reasonable, but regular updates, support and training could bump the system right out of the buyer’s comfort zone. Below are the one-, five- and 10-year total costs of ownership for the software solutions mentioned above. The figures were derived by adding the cost of the initial software (where applicable) and the monthly/yearly subscription fee (where applicable). AutoCAD annual subscription: $1, 680 (with basic support) or $1, 840 (with advanced support). Training is extra. DynaSCAPE: $3, 450 (software, support and updates). Training is extra (i.e. Fundamentals + two intermediate online classes is an additional cost of $1185). AutoCAD annual subscription: $8, 400 (with basic support) or $9, 200 (with advanced support). Training is extra. Land F/X: $10, 695 (annual subscription to AutoCAD basic) and $2, 295 (initial cost of Land F/X plus $1, 000 for the four subsequent years of support and updates at $250/year).